I can’t tell you how many times I’ve been jarred awake by a high pitched voice demanding breakfast. And I’m the first to tell ya, it’s a terrible way to start the day. I wake up to two little eyes staring back at me, knowing I’ve lost even before I’ve begun. While my kids are moaning at the side of my bed that they are absolutely starving, I’ve suddenly got to pee. So my kids follow me into the bathroom, their moaning for food intensifying while I am trying to remember what day it is. I then groggily assure them that I will fix them breakfast in just a second. But they become more whiny and upset, convinced I am trying to starve them. When we finally make it to the kitchen and I get the breakfast, I’m annoyed and already feeling 2 steps behind and my kids are crabby. While I knew my mornings needed to change, waking up early just sounded like cruel and unusual punishment. I was the consummate night owl and dreaded mornings. But I finally decided that things really needed to change. So I read this book, and actually started waking up well before my kids. What happened was miraculous. Suddenly, everyone was so much happier in the mornings. Instead of feeling behind, I felt accomplished and was able to not only serve breakfast, but do breakfast dishes. Most miraculous of all, we started to getting to school on time. Getting lunches and backpacks ready and 4 little bodies fed, pottied, and into car seats is no small feat!!! That’s when this girl became a believer in the power of mornings. Especially in waking up before your kids. Almost instantly, I was accomplishing more everyday, happier, and healthier. Which translated into a happier, calmer, more organized home and family. Think about it for a minute: Once your kids are awake, they’re all about mama. Whether for your ability to make breakfast, change diapers, or give righteous snuggles, you’re in high demand once those little heads pop off their pillows. But when you first wake up, you’re not quite poised and ready for action. You’ve gotta take care of business (i.e. pee, brush your teeth, and actually start thinking coherent thoughts) before you can really start to function like human being. But such business tends to turn hungry kids into supremely cranky kids. And cranky kids plus a tired mama usually equals a cranky mama. And that is no way to start your day! However, simply setting your alarm for 30 (or even 15!!) minutes earlier has the power to completely transform your day (for tips to wake up earlier, check out my post here). You will be happier, more efficient, and get more done each day. Your personal morning time will center you and set you up for your whole day. BARE MINIMUM: WAKE UP 15 MINUTES EARLIER. Girl, I know waking up is tough sometimes (or all the time). Especially when you’re up with a baby or a sick kid. Or just up late spending time with your husband binge watching Netflix. This will get you mentally and physically prepared to start your day before anyone needs something from you. And it will give you a bit of time to be by yourself (which frankly feels like a treat as a mom of 4 little ones). Waking up before your kids and starting your day by giving yourself a whoIe hour to yourself will truly change your life. I’ve found that how you start your day more often than not determines the quality of everything that follows (seriously, changing my mornings has literally changed my whole life). Spending an hour taking care of yourself will set you up to be the mom you strive to be. And you will get more done everyday! If you can spend an hour before your kids are up taking care of yourself, you will be happier, healthier and more fulfilled. And your whole family will reap the benefits. Make your bed: Start your day with an accomplishment. Get dressed: Preferably, in workout clothes so you that much closer to getting your sweat on! Exercise: And this 25 minute workout is the perfect. Getting your workout done first thing will give you a blast of endorphins, energy, and a serious sense of accomplishment. Don’t let it hang over your head all day! Determine your daily priorities: This could be writing lists, planning, making a schedule, journaling, meditating..whatever gets you centered and focused for the day. Read something uplifting: This could be parenting books, self-help books (I’m obsessed), scripture, etc. Spend time/effort on your personal goals: Part of achieving your goals means making time for them. Spending even a little bit every morning will get you closer to achieving your goals than any sporadic and massive effort. Stay away from your phone and any social media. Nothing will zap your time away faster than “just checking” something. Think of this time a sacred time your YOU. Guard it ferociously. For me, this means no checking any news on my phone. You start achieving your goals faster because you are actually making time every single day to get there. I’m not exaggerating when I say that waking up before my kids has changed my whole life. It has played a big part in pushing me and helping me achieve my goals (including losing over 35 lbs after having 4 kids). My mornings are a sacred alone time that I get during the day. That time prepares me to relish my days of chaos, snuggles, and challenges. And I get so much more done that I seriously feel like I have actually more hours in the day. So what are you waiting for!?! Set your alarm a little earlier, wake up before your kids, and transform your mornings. 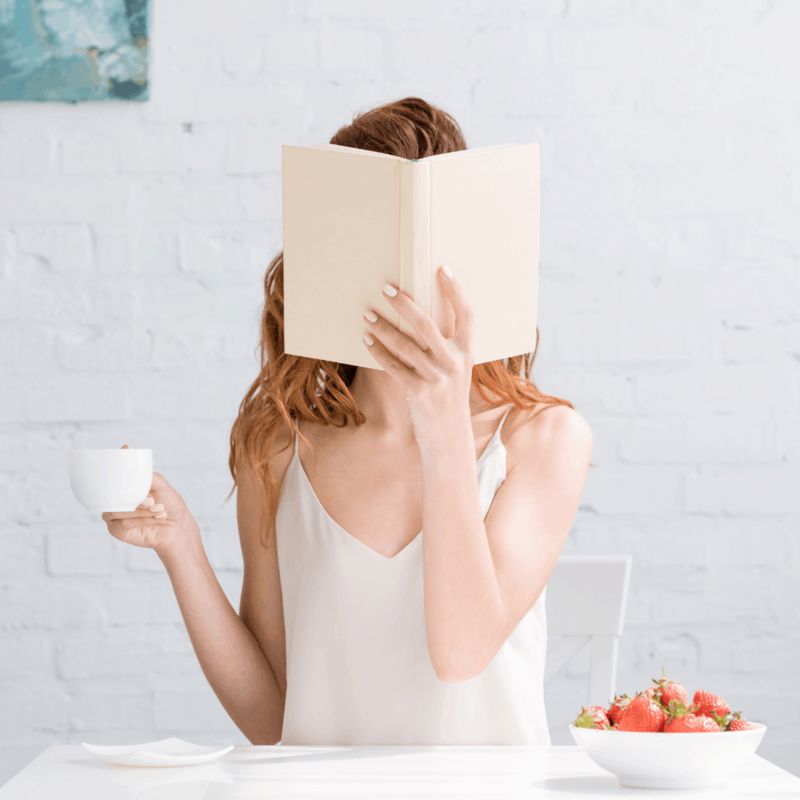 Before you have to throw on your super hero mom cape, taking time for yourself first thing in the morning will do wonders for your happiness and productivity. Even if it’s just for 15 or 30 minutes, that short time in the morning will have a massive impact on the quality of your day. You will be more able to handle stress and challenges and you will be more likely to achieve your personal goals.